If you think the progressive left is going to just lay down in 2012 and accept that their ideas have failed, think again. The left is renewing their efforts to impact state and local elections. Moveon.org, New Organizing Institute, Democracy for America and other left-leaning groups have committed to finding 2,012 progressive candidates for state and local elections. Their efforts are going so well that they have now raised their goal to 5,000 progressive candidates for 2012. You can learn all about their efforts at www.2012for2012.org. The left realizes that real generational change does not originate at the national level. It begins at the state and local level. We cannot capitulate to them, and must fight them at every moment, at every level of government if we are to truly get this great nation back on a path of freedom and prosperity. Are you going to let the left make advances in your community, or are you willing to step up and go toe-to-toe with them? American Majority is the only group on the right committed to state and local politics. From the moment we launched we have been determined to identify and train the new generation of leaders, building a farm team for higher office of men and women committed to limited government and free enterprise. Just as importantly, we've been training the new leaders on how to run credible campaigns, from campaign plans to fundraising to Get-Out-the-Vote work. Since 2009, we have identified and trained over 1,700 candidates for school board, city council, county commission and the state legislature. You can help us to continue to build a conservative farm team with a small donation today. Every dollar will go back into the training of good, conservative candidates. We launched the New Leaders Project in 2010, asking local groups to pledge to find 10 new leaders in their communities in 2012 and 2013 to run for state and local office. So far, we've had 538 groups sign the pledge! The Kenosha Tea Party of Wisconsin signed the pledge and has already identified more than 20 local candidates to run for office this spring. Focusing locally, their candidates are seeking election for county, school board, various city councils and village boards in Kenosha County. Dan Hunt, the leader of the group said, "American Majority got me thinking in this direction [focused on finding local candidates] in the first place. I am grateful for American Majority's trainings in preparing us to win elections." 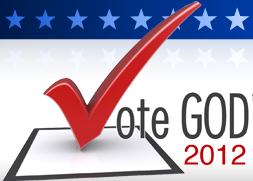 Commit to doing everything you can in 2012 to keep America free. Visit www.AmericanMajority.org to find an event in your area or help American Majority financially by clicking here to donate.